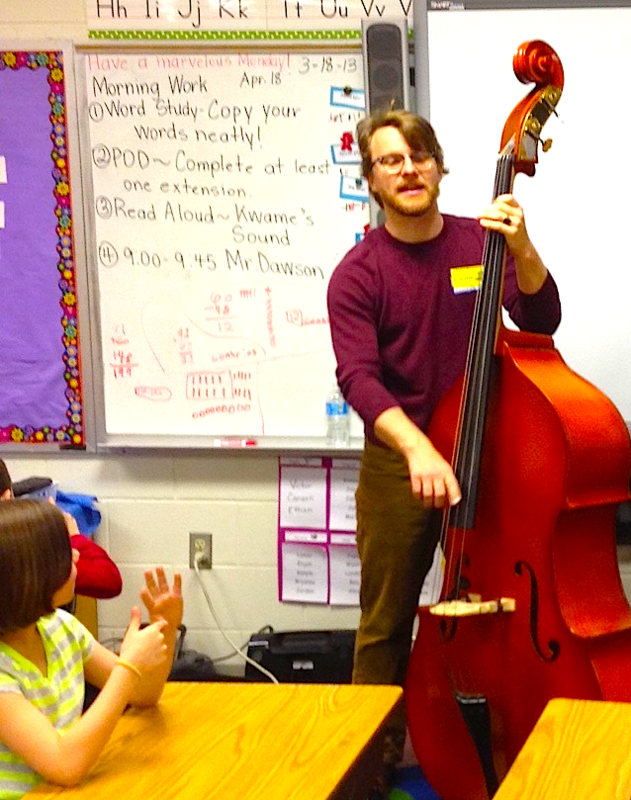 As a Teaching Artist, William Dawson has visited classrooms across North Carolina, teaching both students and educators how to integrate music into their curriculum. Special repeat programs have included The Science Of Sound, Homemade Instruments, and Instrument Dissection. During a single classroom visit or spread across several visits, students learn about the science behind the sounds and the music we hear, the musical instrument families, and how to create their own instruments out of found and recycled objects. Dawson brings in and performs on over a dozen instruments, including Guitar, Upright Bass, Banjo, Mandolin, Ukulele, Trumpet, Trombone, Saxophone, Clarinet, Flute, Harmonica, and Accordion. Students are fascinated to engage in the "Accordion Dissection", where the instrument is disassembled into its many parts, and students observe and handle the inner works of one of the most amazingly engineered instruments of the 20th Century. Students can also create their own "Electric Shoebox Guitar", which allows them to create their own instrument, and use the vibrations to play their creation through a guitar amp and effect pedals. William Dawson offers Professional Development programs for teachers looking for ways to engage students in the classroom through the arts. Specializing in integrating music into the curriculum, the Professional Development Program Songs In Curriculum helps classroom and music teachers find and utilize popular American songs to help students learn. The correct songs can help students learn about the history of the 1849 Gold Rush ("Oh My Darling Clementine"), teaching the vowel sounds ("Apples & Bananas") and even the order of mathematical operations ("Please Excuse My Dear Aunt Sally"). 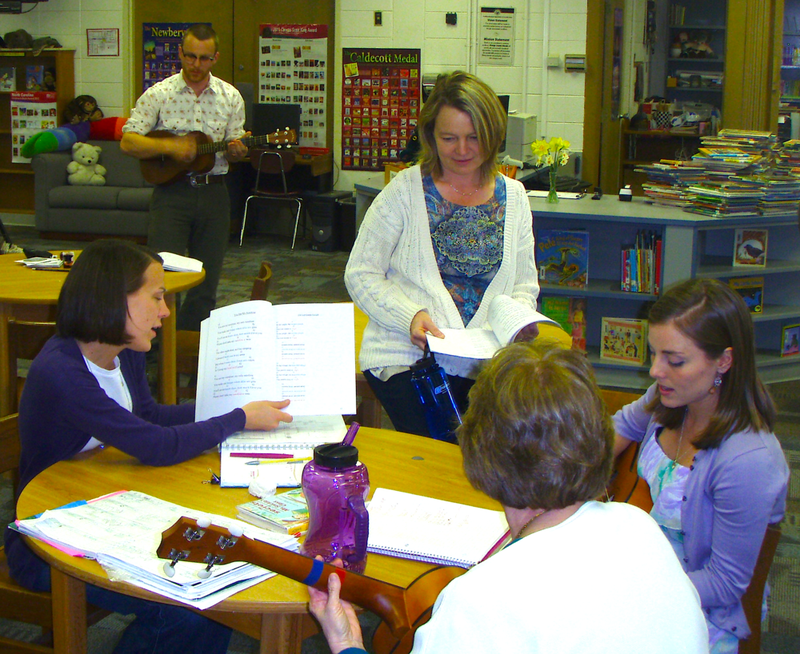 Songs In Curriculum helps teachers quickly learn how to perform these teaching songs on color-coded ukuleles with the accompanying booklet. Students have always loved singing in the classroom, and this program gives teachers the skills and well-known songs that they can use to easily integrate the arts into their classrooms.